Yoichi Kuroda coordinated Japan Tropical Action Network’s campaign to publicly expose and reform Japan’s role in tropical deforestation. Yoichi Kuroda has been described as a pioneer in Japan, on the cutting edge of influencing Japan’s foreign policy and its impact overseas. With minimal financial support and at the risk of social ostracism, Yoichi Kuroda created one of the few truly effective activist organizations in Japan, the Japan Tropical Forest Action Network (JATAN). 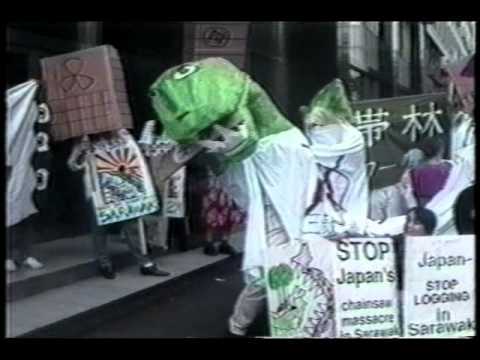 In 1987 Kuroda became the coordinator of JATAN’s campaign against Japan’s irresponsible use of tropical hardwoods. For the past four decades, Japan has imported more tropical timber than any other country in the world. The majority of forests in Malaysia, Indonesia and the Philippines have already been decimated by Japanese logging interests, while the destruction of Papau New Guinea’s forests – along with African and South American forests – is also on the rise. Tropical timber is often used in a wasteful manner in Japan, such as for plywood at construction sites. With a coalition of a dozen citizen groups and hundreds of individual members, JATAN effectively used research and public education to publicize Japan’s role in tropical forest destruction. Timber from the South Seas, a report co-authored by Kuroda, provided the first comprehensive data on Japan’s timber consumption patterns and exposed Japanese corporations’ contribution to rainforest destruction. It also outlined an alternative, positive role that Japan could play. Widely distributed in Japan and abroad, the report has increased international scrutiny of Japan’s policies and practices. Kuroda met with the presidents of major corporations to encourage corporate responsibility and brought inhabitants of the rainforests and Japanese decision-makers together. As a result, the Japanese government has apologized to indigenous groups, and more than 40 local governments in Japan have introduced steps to reduce tropical timber consumption. As Japan is rapidly increasing its demand for wood products from non-tropical countries, Kuroda has expanded his focus to deal with temporate and boreal forest issues in other countries such as Canada, Chile and Australia. His work has also included the global paper and pulp industry and plantations. 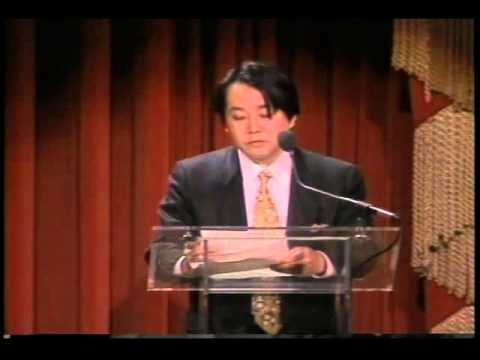 In 1998 Kuroda received a three-year research fellowship with the Institute for Global Environment Strategies to examine underlying causes of forest destruction in the Asia-Pacific region. His work influenced the Intergovernmental Forum on Forests. Kuroda remains active in JATAN as a board member.